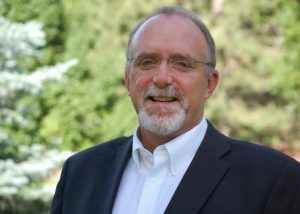 Gary joined the Poudre School District Foundation in April of 2018 as the Executive Director. Gary is a proven leader with a passion for innovative educational opportunities for students. He and the Foundation’s Board of Directors, while working in partnership with the Poudre School District, will work diligently to inspire community investment in student learning experiences. Gary brings to the Foundation a somewhat unique background in providing leadership to organizations in the nonprofit sector, and the for-profit sector. Prior to coming to the Foundation, Gary served as the Executive Director for the OtterCares Foundation. Other nonprofit experiences include serving as the Executive Director for the American Cancer Society in Larimer County, the District Executive Director for the American Cancer Society in SE New Mexico, the Development and Marketing Specialist for the American Heart Association in central Texas, and the Director of Development for the Wyoming Wildlife Federation. His for-profit experience includes running his real estate practice in Northern Colorado for 13 years, and developing a Productivity Coaching program to help agents achieve. After growing up in the Denver area, Gary attended Fort Hays State University in Hays, KS and received a BS in Business Administration while earning All-Conference honors as a pitcher for the baseball team. Gary and his wife Kathy have called Fort Collins home for 18 years and are proud parents of two sons – Wade and Tyler. “My personal mission is to make a positive difference every day, and I am very passionate about providing opportunities for students which will help them lead successful lives. The Poudre School District Foundation provides the perfect opportunity to work with others who have similar passions and dedication to investing in the futures of students in our community”.